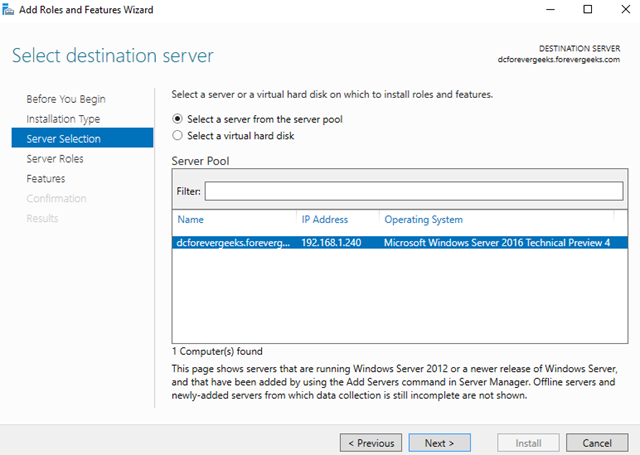 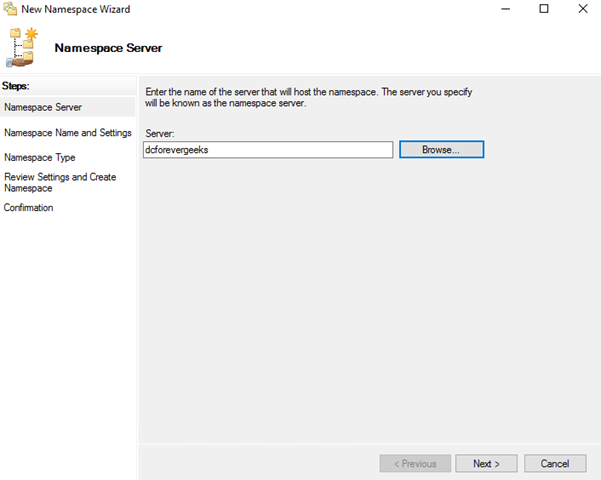 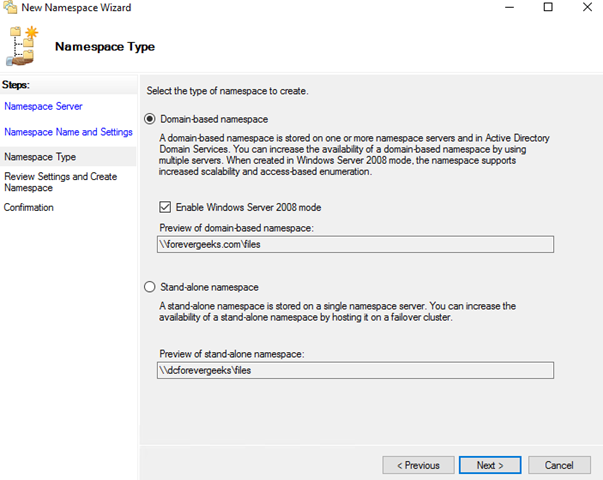 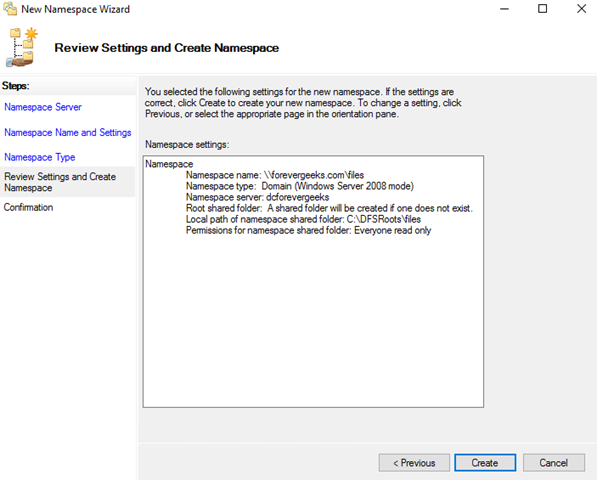 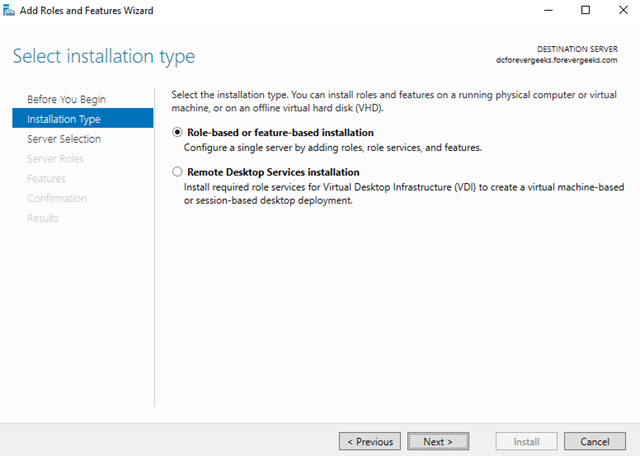 In this guide we will setup and configure DFS ( Distributed File System ) Namespaces in Windows Server 2016. 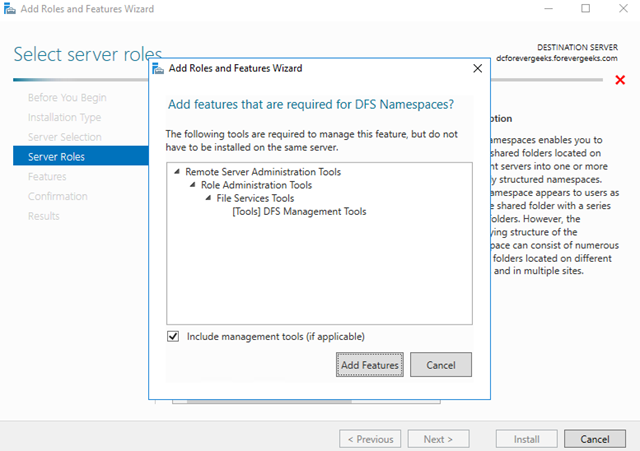 DFS allows you to setup shared folders hosted on different servers into one or more logically structured namespaces. 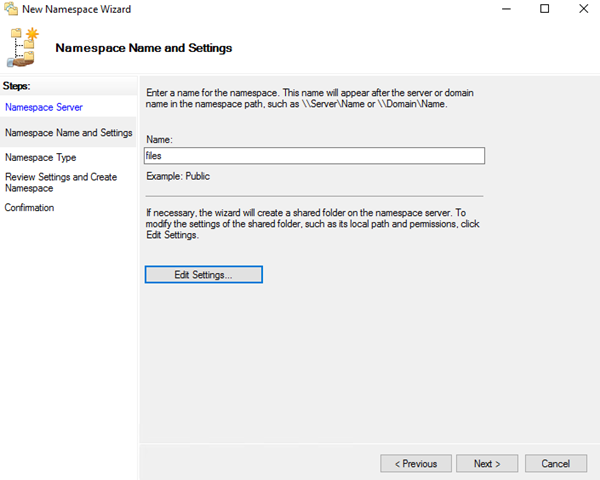 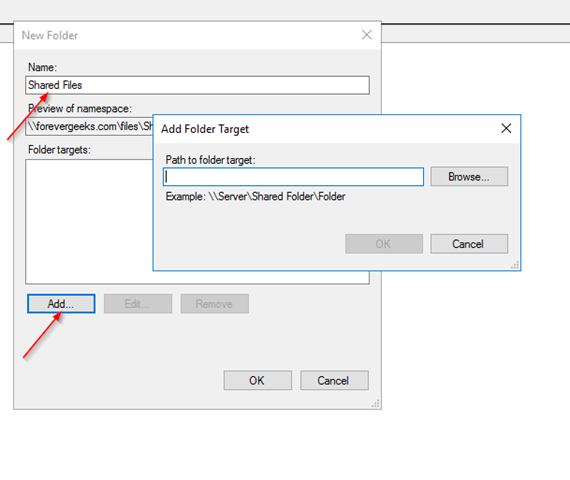 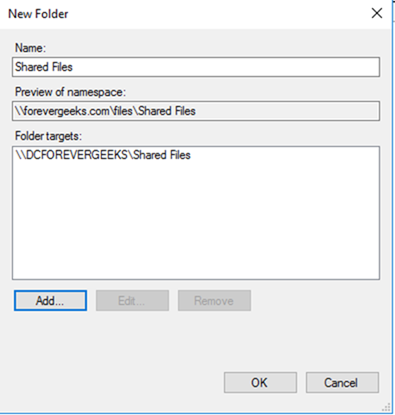 Each namespace appears to users as a single shared folder with a series of subfolders. 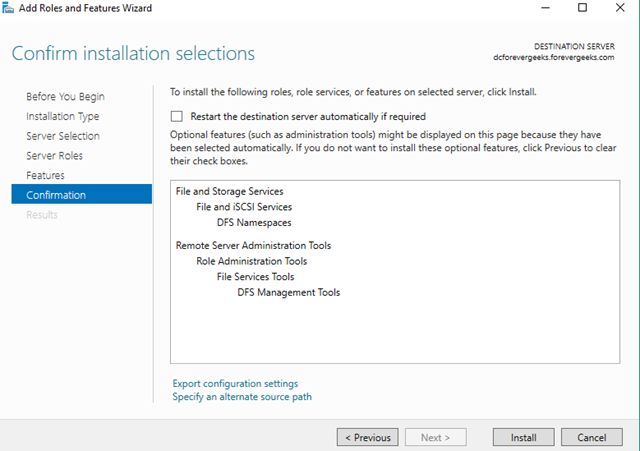 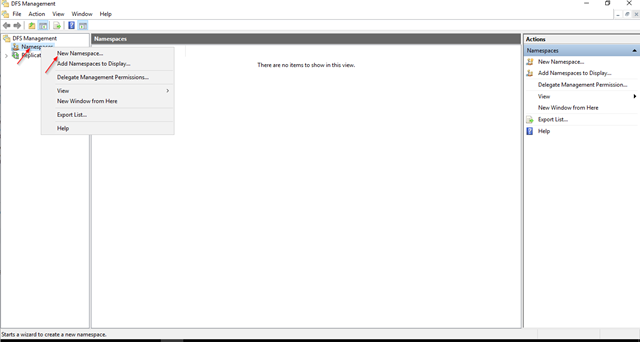 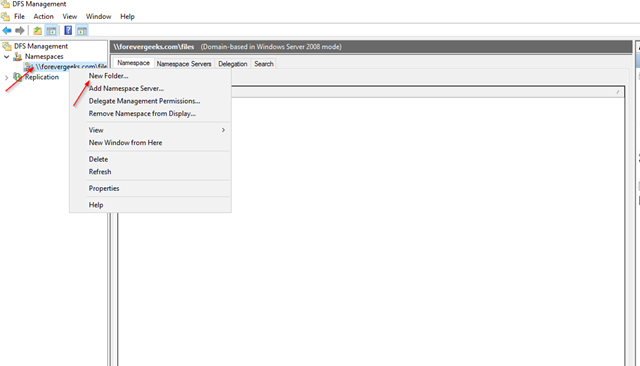 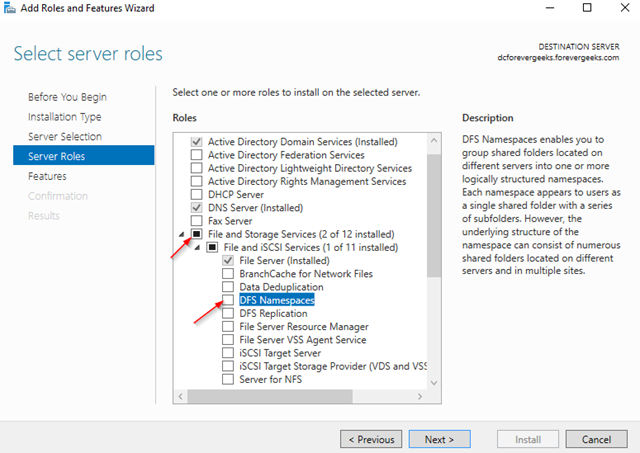 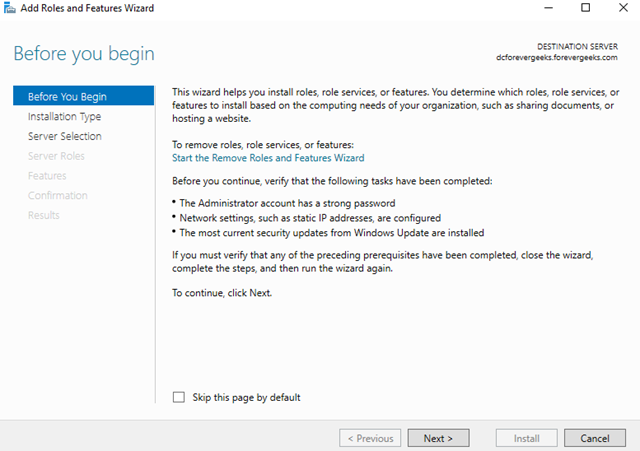 This setup increases availability and automatically connects users to shared folders in the same Active DirectoryDomain Services site.